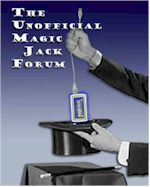 HOWTO ... Class Action against MAGICJACK ... Help others !!! Germany, a very social country, is doing just fine and has been since the 50s with their social policies. Sure there are some problems but they're not due to social issues, but rather due to the Global Crisis that we, us dipshit Americans, caused Worldwide with our excessive personal & corporate greed .... ever hear of the Banking and Real Estate Crisis with Worldwide repercussions? Guess who caused that ... ??? Speaking of which ... that's actually where the issues in Greece come into play as well. Foreign banks that came in with over inflated prices and over ambitious business sales pitches that began the downfall of the economy in Greece. That too was started by us initially way back in 2004 or 2005 already. The Greek, peace loving social tourism oriented people that they'd always been up to that point, can only be accused of being idiots for listening to all of the dribble that was being offered to them. It wasn't until 2008/2009 when everything *HERE* imploded that the rest of the world looked at us greedy geniuses, asking us ... "OMG, what have you done?" CUBA ??? Give me a break. For every Cuban who hates their homeland there's another one who loves it. Their social system works fantastic, it just doesn't allow for *ENOUGH* private enterprise which is why all of the buildings and cars are falling apart over there. But hey, you're in luck because big American business has already begun speculating in the past couple of years what we can do with (TO) Cuba once the bad taste of Fidel is gone and the flood gates for us opened. Alright, back to medicine one more time ... something that I"m sure you must be aware of if you've seen any of the docu-scandals that I've seen reported on 60 minutes and other shows ... how about the sky high over inflated cost of medication? Another corporate rip-off since it's been proven time and time again that patents are re-issued on merritless, usually ineffective changes to medication for one sole reason ... preventing others from making the same medicine cheaper so that more people could afford it, thereby ensuring that all of the big pharmaceuticals keep rolling in dough. Even many doctors have protested this kind of behavior as it makes patient care more costly than it needs to be ... BILLIONS MORE TO BE SAVED ... if only regulation could be passed against such behavior. You want to talk about taxes, really ??? Say it isn't so. Have you heard the one about GE ??? General Electric, an age old American company that managed to jump through so many tax loopholes that they actually managed to get money back just a couple of years ago? Are you for real? Hey, and how about the *CURRENT* reverse mortgage rip-off for any seniors who have children ... which pretty much gets them to make a little money on their property which can't be inherited after they pass away unless the kids come up with the funds to pay off (not take over) the reverse mortgage within 6 months? Man, I could go on forever because my friend, I really am informed and I'm not wearing blinders either. You can point and scream and yell about Government all you want, but that won't change the time proven *FACT* that no matter how abusive or dumb you perceive Government to be, nothing and I mean *NOTHING* can ever top the abusive behavior and the raw decades lasting damage that's been caused by private American Industry. I dare you to show one valid example of this (not including any Wars after 1975). Every tiny bit of power that you take away from Government, helps to ensure that private industry, most especially huge corporations, grow stronger & wealthier at the cost of the little guy! Now how *TRULY* *AMERICAN* is that kind of attitude? You may not approve of socialism or a Government with a social attitude, but at least that doesn't make me want to vomit. No one is pointing and screaming about anything. Socialism has not and can not work in the long term. As soon as I see my neighbor sitting at home, drinking beer and playing video games all day and not working, I'm next in line. I sure as hell am not going to pay for him to do it, it's called human nature. It has and always will collapse. How anyone spends their money is no ones business but theirs. Tax them all you want, they will leave to a country that has low tax rates and then their will be nobody left to tax. The Beatles song, says 1 for you 19 for me, from the prospective of the taxman. That's a 95% tax rate for the math challenged. It nearly killed that country, and they at least came to their senses and eventually reduced it way down. And our founding fathers spinning in their graves about how others should spend their money, socialism and over-taxation? If they are doing anything in their graves they are laughing at that one. You really should cut back on either the alcohol, weed or both. It won't work anymore than it will work trying to convince an attorney that not getting a company to extend it's 30 day free trial to 60 days arises to a class action lawsuit. You're right, it'll never work here. Oh darn...you missed my edit on cutting back on the weed. Posted: Wed May 02, 2012 12:38 am Post subject: Did you pay with your MJ with a credit card? If so, you and your parents may be able to get credit from the credit card company for not only the MJ, but the add-ons. If you used a gold or platinum credit card, which I believe provides twice the manufacturer's warranty, you can claim it's defective and perhaps their coverage will issue a check in the amount of the purchase (may be easier for them pay the small amount of money and not bother with replacement). This has gone way off topic. The sad thing is, neither party really speaks for the majority of our people any longer. I am certain I am not alone in feeling abandoned by both parties. Both parties have been taken over by extremists who are unwilling to engage in actual dialogue and true compromise, but are instead content to be vampires who suckle at the corporate teat by passing legislation they really don't care about in return for 'retirement' as corporate board yes-men. They take joy in exposing the personal dirty laundry of opposing party legislators instead of actually doing their jobs. The rest of us suffer because bloviators in power do what they can to keep their cushy talking-head elected positions without making any real change. I'm embarrassed that my tax dollars pay any of their salaries. Our states suffer from over-gerrymandering and a citizenry that is exhausted from always having to choose the lesser of two evils. You want to change it? Change the voting system. Watch CGP Grey's Politics in the Animal Kingdom on youtube. Give the vote back to the people and we'll become a nation of leaders, proud to participate in politics and vote once again. Otherwise we're just a consumer nation of slobs - not citizens. Take the power away from lobbyists, gerrymanderers and vote fixers. Give power back to our citizens. Then we might see dialogue, compromise and actual governance of, by and for the people.